Another one of my best friends was married a while back, and I was lucky enough to be a part of her special day and do her save the dates and wedding invitations! Another one of our friends from High School, Sarah Geiger was the wedding photographer. Sarah captured the day perfectly, and was featured on Style Me Pretty. Click here to see the full story and see all the pictures! Brooklyn is a special place for Vivia and Will, so they decided to get married at The Liberty Warehouse. 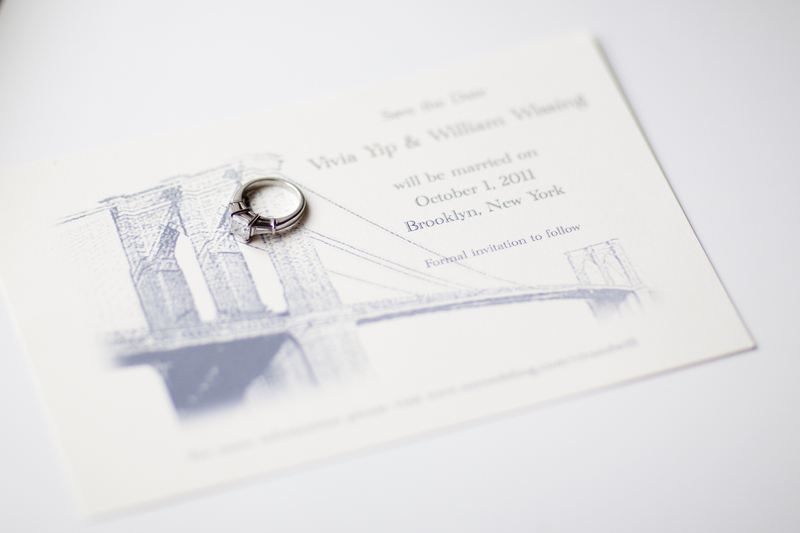 I thought it would be a cute idea for their Save the Date to feature the Brooklyn Bridge. It turned out great! We toned down the colors and printed it on a more grey scale, rather than black and white which would have been too harsh. Above shows the Rehearsal Dinner invitation, Reception Card, Save the Date and RSVP card (clockwise starting at top left). The Rehearsal was at Frankies 457, so we found an invitation that captured the feel of the restaurant. 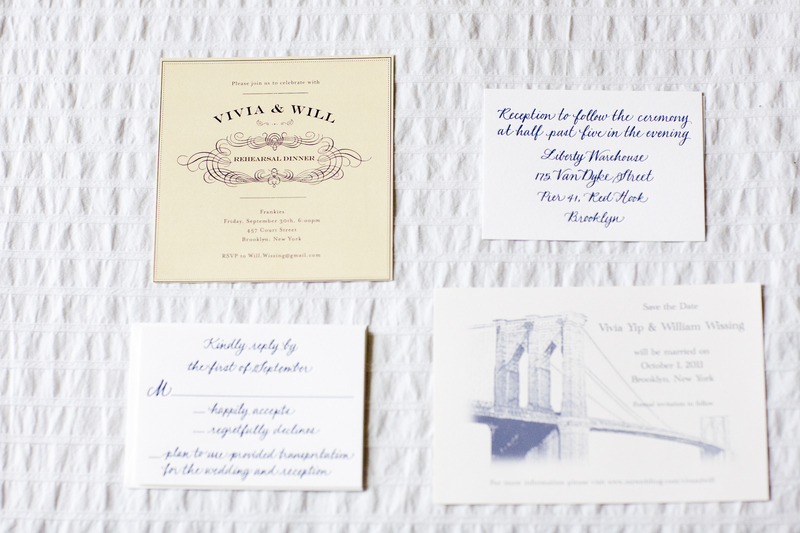 The Reception and RSVP card were letterpress in navy ink from my calligrapher. All in all, it was an amazing wedding … Sarah did such an amazing job with her photography and I had the best time with Vivia creating her Save the Dates and Invitations! !